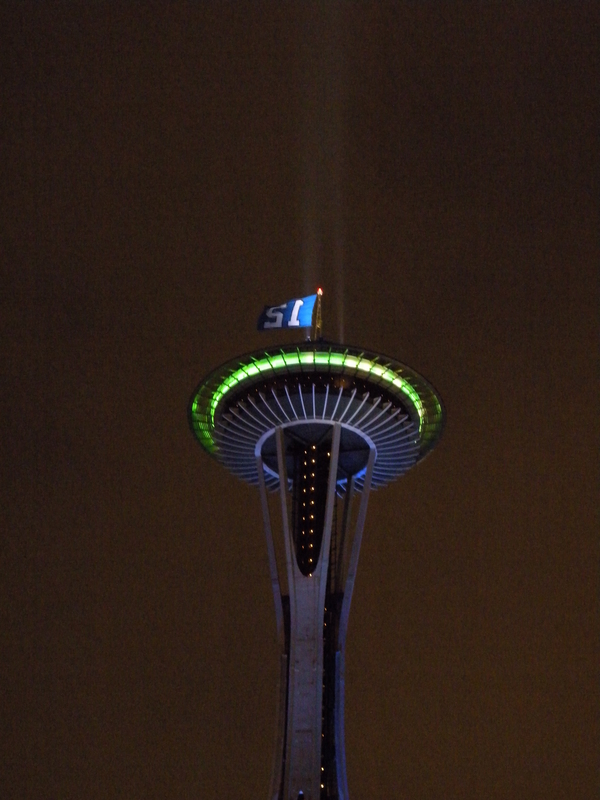 The great Space Needle show its colorful spirit for the recent Seattle Seahawks win and advancement in the playoffs. Above the saucer, a large blue flag displays the number 12, a traditional honor to the 12th Man; a term used by sports fans with a long history, but now more exclusive to Seattle, thanks to a large lawsuit and settlement with Texas A&M University (who originally coined it as a fan term since 1921). Another fun term among Seattle football fans is the “Beast Quake.” This came from a Seahawks game back on January 8, 2011; where fans literally shook the Earth in excitement during the playoffs in the 4th quarter as its star running back, Marshawn Lynch made a 67-yard touchdown run, ensuring the crucial win against the New Orleans Saints. 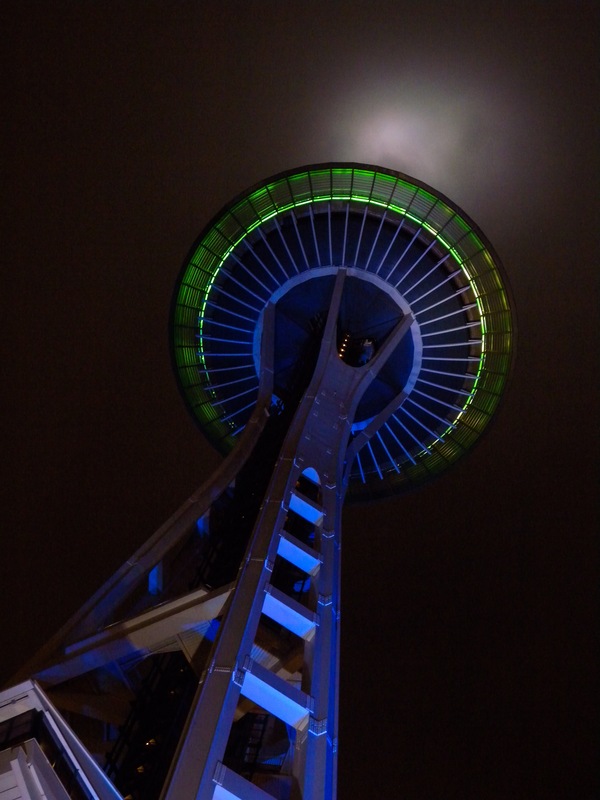 Posted on January 13, 2014 by Orion T.	This entry was posted in Architecture, Interests, Travel and tagged 12th Man, blue, football, go hawks, night, pride, Seahawks, Seattle, Seattle Center, Space Needle, travel. Bookmark the permalink.